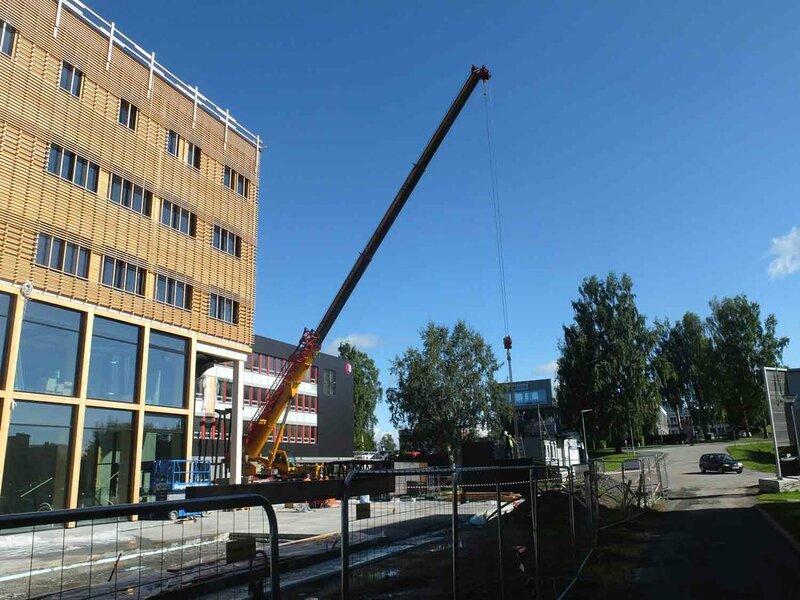 Construction is well on its way at the Norwegian University of Science and Technology (NTNU) in Gjøvik! 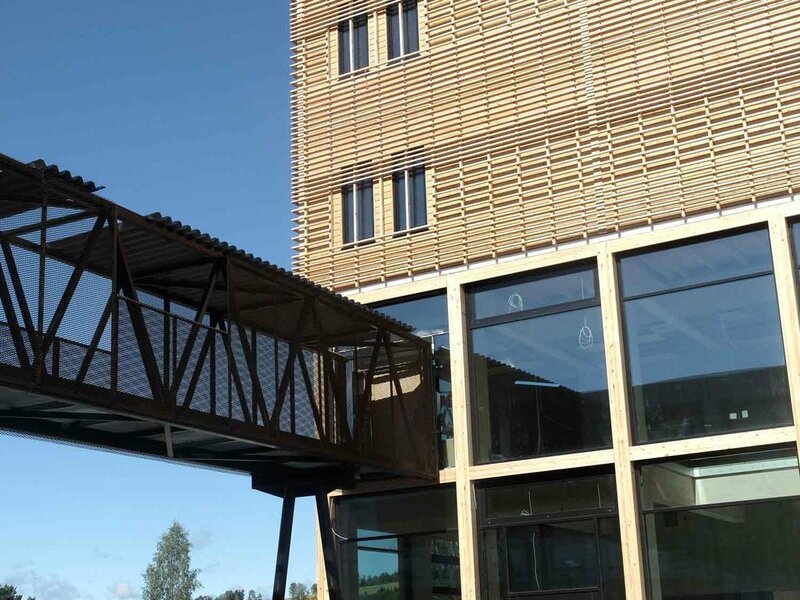 The new building for Gjøvik University College is to become a learning arena for knowledge and education. The project ties in with the existing learning environment of the university college and provides opportunities for the future merging with NTNU. Through a simple geometry, the 5-storey building creates a dialogue with the existing structures of the established institution. It orientation and footprint allows for further expansions. The vertical open circulation defines the heart of the building and contributes for a positive interaction and collaboration between the users. The building consists of workshops and labs on the ground floor, classrooms and auditorium on the first through third, and administration on the top storey. 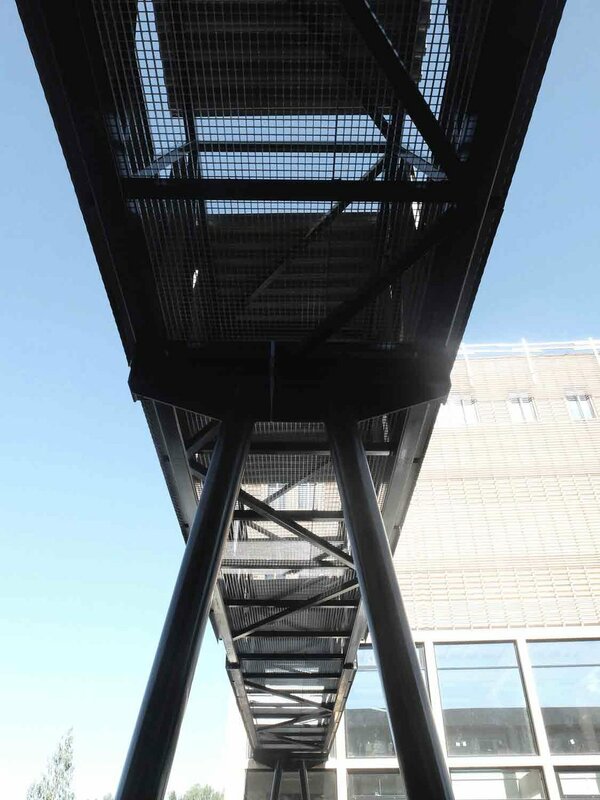 Walkways to the adjacent buildings provides connections for its students and staff to access the shared auditorium and classrooms.